To assist international visitors who may be confused by my western US dialect, I have taken time to translate the above phrase into several languages via an online Babelfish. Apparently 'Hoopy Froods' is universal and needs no translation. 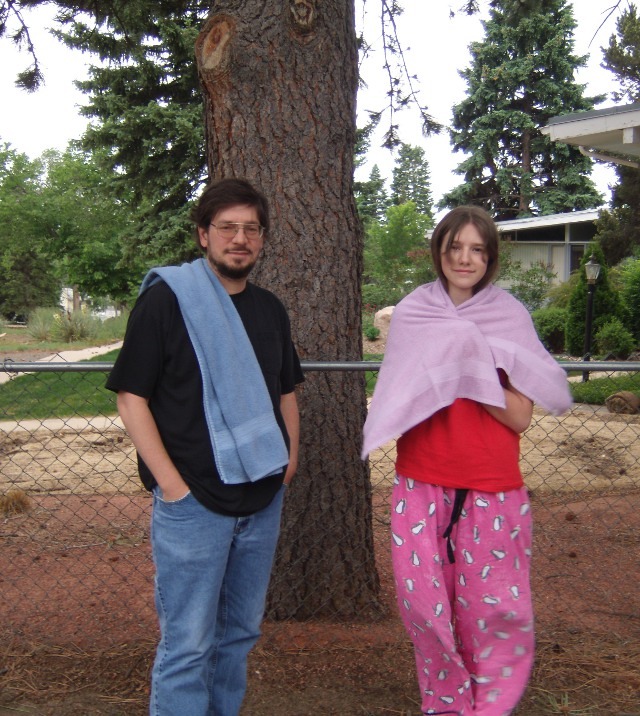 Happy Towel Day to those in the Pacific! (it is already early AM, May 25th in places like Australia). 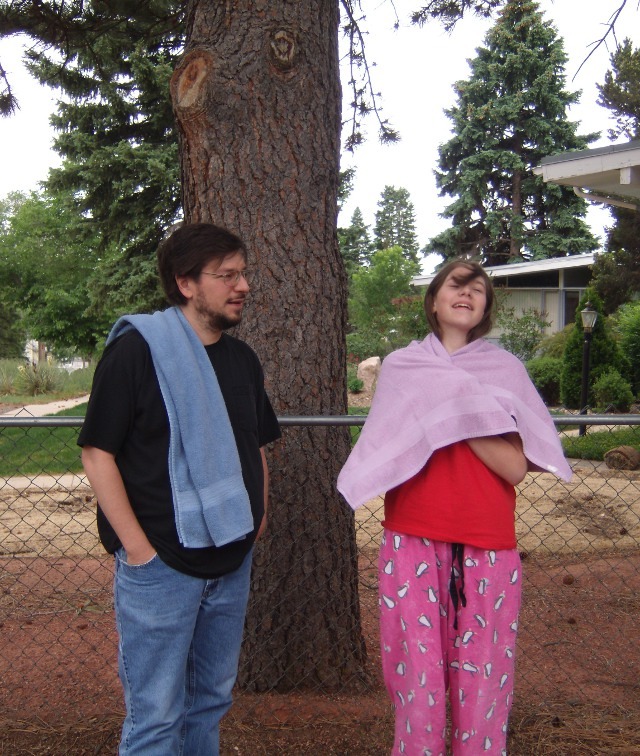 This is the 12th Towel Day! 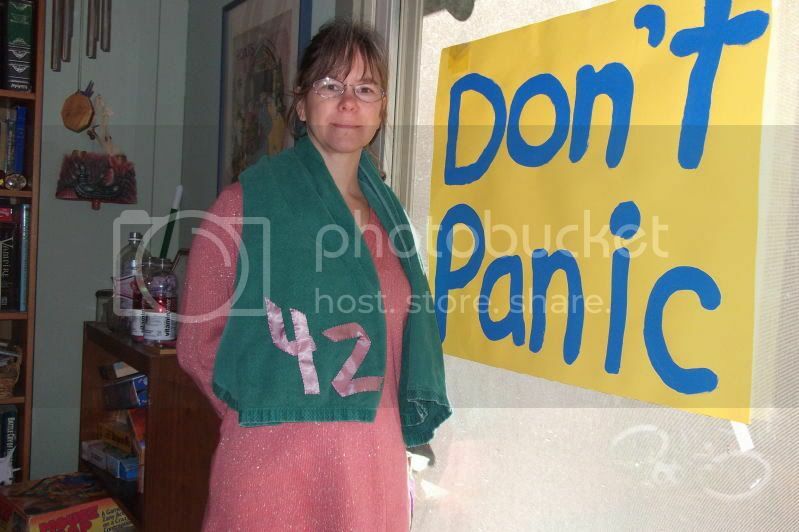 Please link your Towel Day 2012 pictures here. 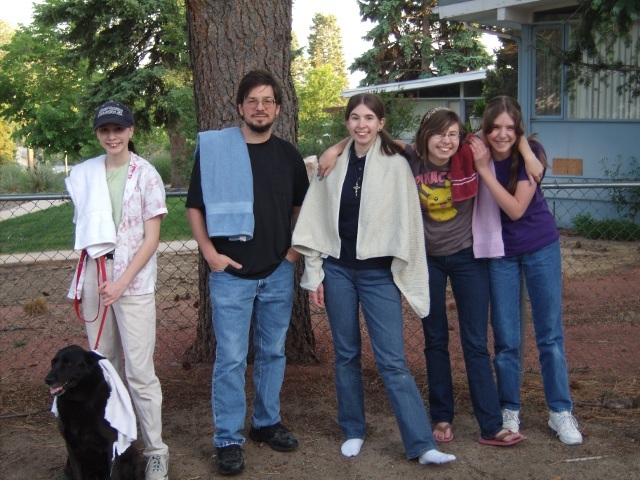 If you are not sure how, see the Towel Day Picture FAQs thread. Pictures from my part of the world will be posted later (We have 13 hours to go before we get to Towel Day out here on the open range - git along little doggies). My littlest kids and I made a Towel Day video. Kind of dumb, but at least it's short. I just have one pic. It was kind of cold and windy this morning. Laughing at Dad's witty humor - or maybe it was windy and she was trying to get the hair out of her eyes. My littlest kids and I made a Towel Day video. My towel and me. Plus, that's one of the signs my sister's family made me for my 42nd birthday party. We saved them for Towel Day. We had kind of a driving adventure trying to get to 7-11 on the poorly designed roads around the college. Other than that, I haven't really done anything exciting. But it still feels good to wear the towel again. That's super. Is your roommate a Douglas Adams fan, or just a good sport? I made good use of my towel today. Walking over to pick up my nephew from school, it rained a bit--which is strange for this time of year--and I was able to use my towel to cover my head. One later in the day with more of the family. Even the dog has a towel. Cute! One of my girls kept putting a towel on the cat, but he didn't hold still long enough to get a picture. He wasn't familiar with the books, but he was interested in the concept of Towel Day after I explained it. Right on! Maybe he'll read them. What? No pictures from Donna this year?